'Quinn' Introduces you to the best new Giant Plush! With Christmas just around the corner, you can't afford to miss out on our final set of Christmas deals, where we're once again giving you the opportunity to get your hands on a fantastic Giant Plush for a reduced price! 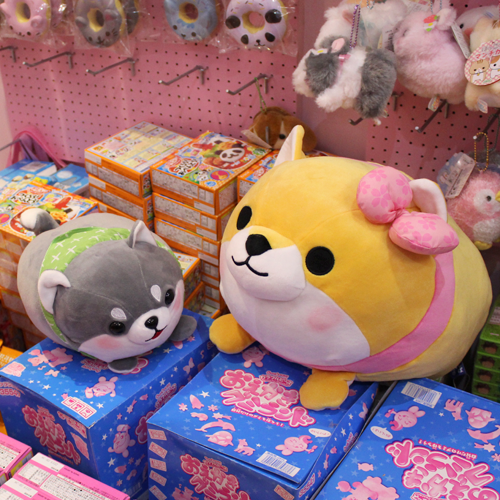 Yes, we've recently added a huge range of brand new giant and medium sized plushies and all of them are now available at a special discounted price, just before Christmas! This is our final Christmas gift guide of the year, where you'll be showing off our favourite plushies from the new wave, all of which are available in this discount! Adam: Quentin, I told you to stop interrupting these? ??? : That's where you're sorely mistaken, as I'm not Quentin. I'm Quinn, his rebellious and stylish dog friend. I'm here to make this blog way cooler. Adam: Thanks for introducing yourself so succinctly, Quinn. I don't mean to be rude, Quinn, but the last thing I need right now is another character interrupting these blogs. Where's Quentin been anyway? Quinn: No idea. But you've got me now, so... it'll be better. Quinn Listen up, there's only one type of plush that you need to get this Christmas, and that's the one starring ME, Quinn! Adam: But Quinn, you're smaller than these ones - you're more JB size! Quinn: Hey, what is that supposed to mean? 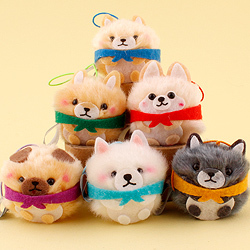 Adam: This new series of Tsumero Mochikko Dogs contains four completely unique dog giant plush from the mameshiba range in a cute 'tsumero' bean-shape which not only makes them cuter but also - they're stackable! Adam: They're the perfect shape for making a tower of dogs. They're also really soft - just like mochi. They're the perfect gift for a dog fan! 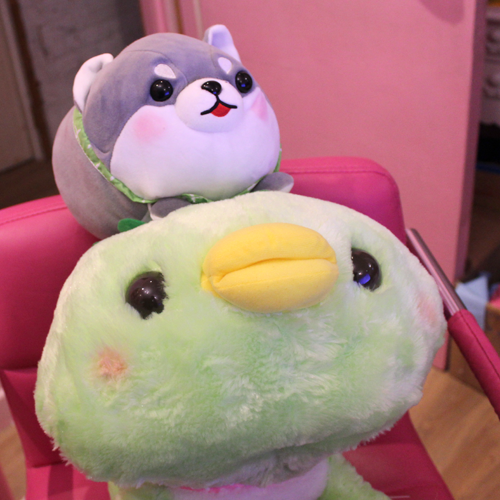 Adam: Come on Quinn, don't be mean - folklore is very interesting, and this series contains a Dara Mofu-San plush that looks like a Kappa, an interesting creature from Japanese mythology typically depicted as green amphibious beings with webbed hands and feet, with a turtle-like carapace on their backs! 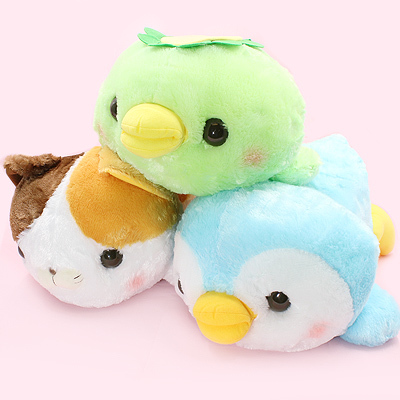 Adam: Kappas have appeared throughout Japanese pop-culture for a long time, and now you can own your very own kappa, who looks super cute and cuddly! 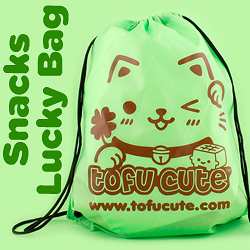 It's perfect for fans of Japanese culture, or just those looking to own a plush that's super unique! Quinn: Or for those who want something really green. 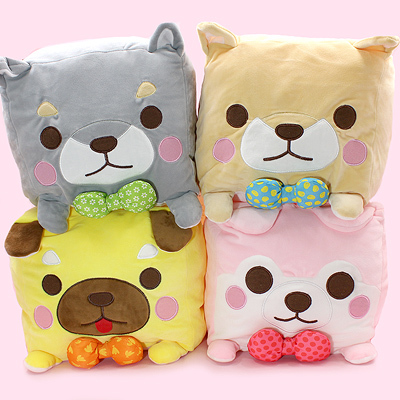 But if you have good taste you could always get one of the new tsumero mochikko dogs instead. Adam: The Korohamu Fruits series has returned after a long absence! 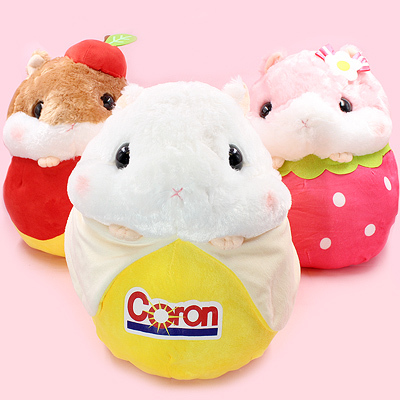 These adorable plushies feature your favourite 'korohamu' hamsters combined with your favourite fruits - look at this amazing & ridiculous Korohamu in a Banana Peel! Quinn: He's wasting his time in that banana peel, if you ask me. 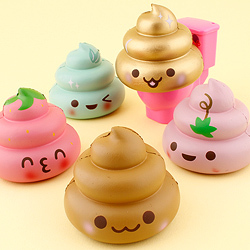 Adam: But they look super cute, even if it doesn't really make sense! They're amazing. Quinn: Bananas are the worst fruit. Adam: If you really think that, then no worries, they come in a few different types - there's also an Apple and a Strawberry Hamster! Surely you want one of those? Quinn: Alright, the apple one is pretty stylish, I'll admit. They're rockin' a sweet hat. 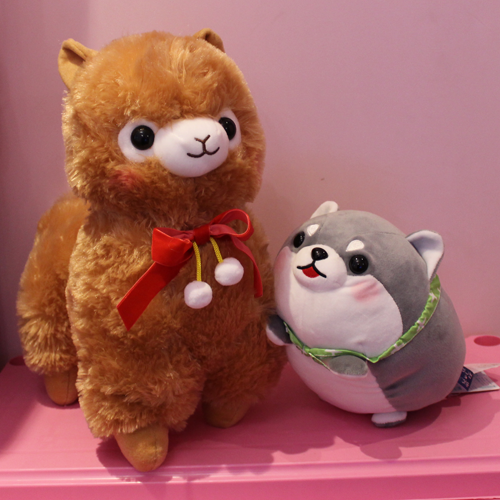 Adam: This brand new series of Alpacasso is now on our online shop, and they come in three super cute colours! It's the classic Alpacas that you know and love, with the same iconic style. Adam: They've got trendy new ribbons with pom poms around their necks! Adam: I think they're very trendy. 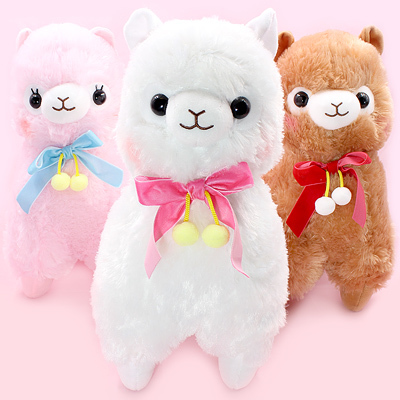 And I'm sure they'd make a great gift for an Alpaca fan! If you've been waiting for alpacas to return. Adam: This Oh! 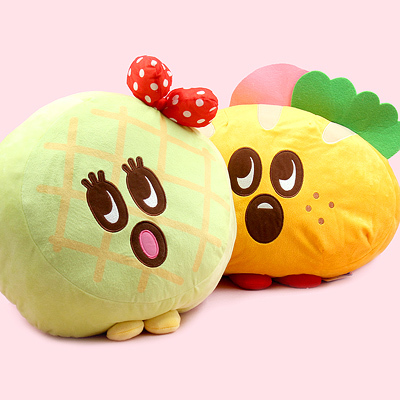 Pantastic series is the perfect plush for someone who loves bread. 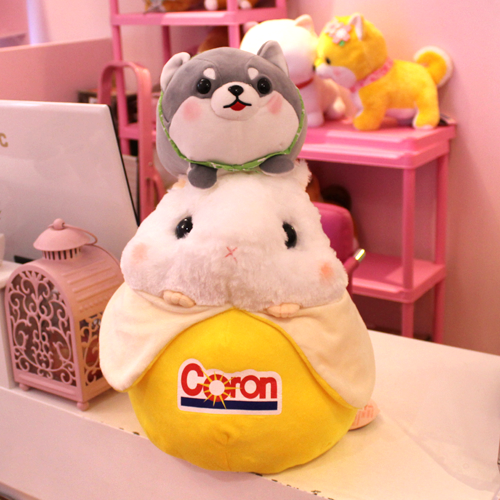 Adam: Baguette-San & Melon Pan-Chan are the perfect companions for a fan of bread. They're bread with attitude. Bread with personalities. Quinn: Not as much personality and attitude as me! Adam: If you're reading this, please adopt a Pantastic plush. They need homes. Quinn: This isn't even a new series! Adam: BUT THEY DESERVE JUST AS MUCH ATTENTION! 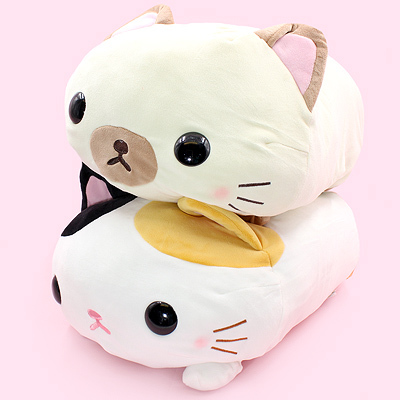 Fuwaneko Mew-Chan Cat Giant Plush! 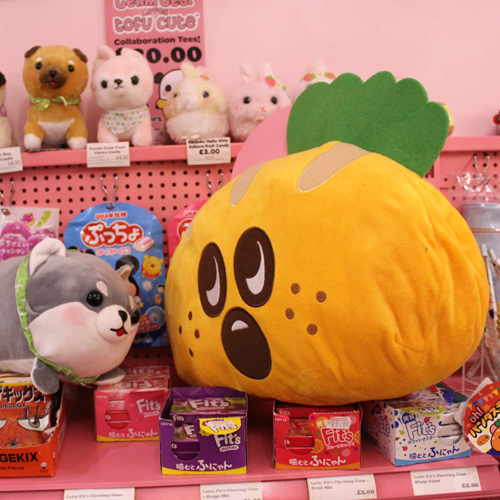 Adam: If you've ever wanted an adorable giant cat plush, then this is the time to jump aboard with plush collecting! 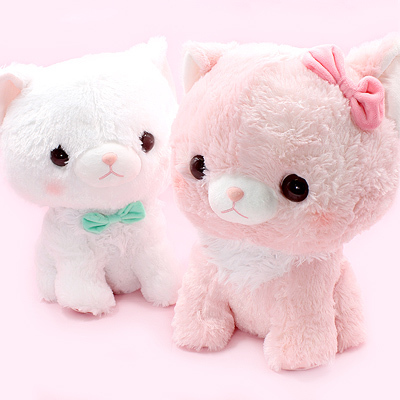 These Fuwaneko Mew-Chan plush are super cute and look exactly like a fluffy cat! Quinn: I don't have much to say about them, they intimidate me! Quinn: I don't like cats. Adam: Make sense. 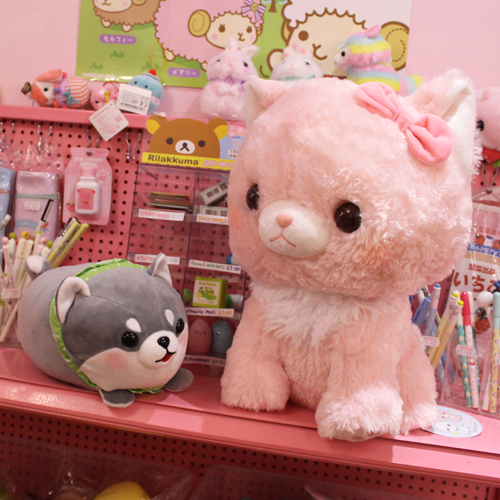 If you do like cats, though, then this is the giant plush series for you. 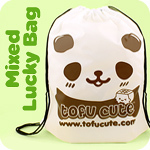 They're adorable, and they come in white or pink! 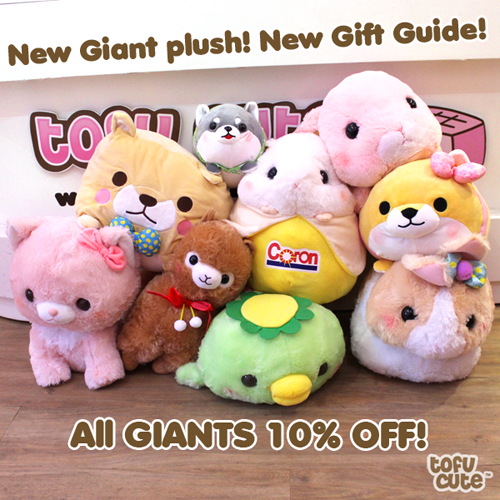 What's your favourite new GIANT plush? What did you think of this? Log in to react to this article! Log in to react to this article! 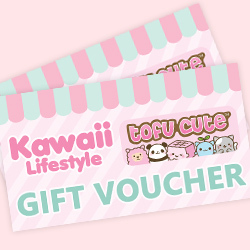 You must be logged in and have a Tomodachi card linked to your account to receive points.